I had lunch today with the owner of a sports management agency, and moved the conversation onto the concept of businesses sponsoring chess players (ok, more truthfully, I asked, tongue in cheek, "who was going to sponsor me to play at the British Championships"). Having initially dismissed it as a non-starter, we then decided that whilst obviously not in the same league as golfers, tennis players and footballers, chess players might nonetheless be a more attractive association for some businesses than we'd first thought. I know that some national chess organisations have received 'philanthropic' backing from businesses, but I'm not aware of many individual players having sponsors, Luke McShane with Psion and Garry Kasparov with Intel are exceptions that come to mind. Are you aware of any other sponsored chess players? What's the most exciting thing chess players could do to attract sponsors, and what's our least attractive attribute? What businesses would make the worst and best targets for chess? Player sponsorships are indeed difficult. The whole concept of sponsorship is to provide visibility to the sponsoree. Unfortunately, unless you are *that guy* there is nearly no visibility that can be traded on for that individual sponsoree. For the same number of dollars, he can generally sponsor the event, and get higher visibility. The other thing that they can do is multiply their visibility by sponsoring a *team* rather than any individual. And if you want to attract sponsors, then become visible. Market yourself, your team, your event. Get press, get pictures, get people talking about it. Sponsors will then want a portion of that attention, and will pay for the privilege. It isn't altruism, but attention that the sponsor is after. Create attention, give them a portion, voila. 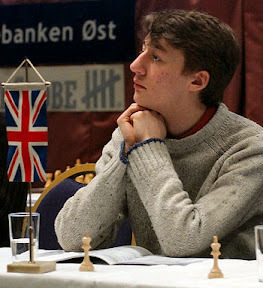 Unfortunately the exposure of chess is not that great as compared to other top games, that it why this problem occurs.